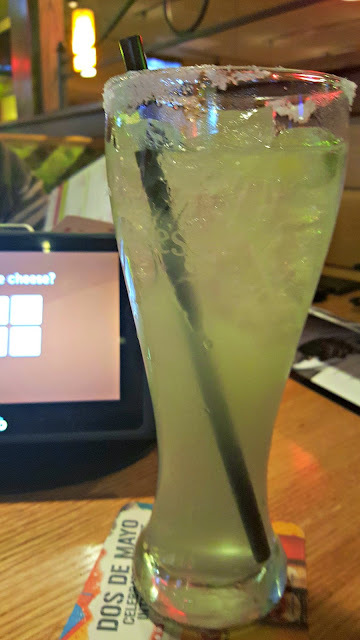 We had a lot of errands to run and wanted to grab a quick drink for Cinco de Mayo so we stopped by Applebees in Drumhill. They have a new bar menu that features "Build your own Sampler" with share-able snacks. I was ecstatic because I love the idea of nibbling on a variety of things instead of getting one huge thing. We each got a house margarita for $4.99. It was way too sweet. All I could taste was sour mix. 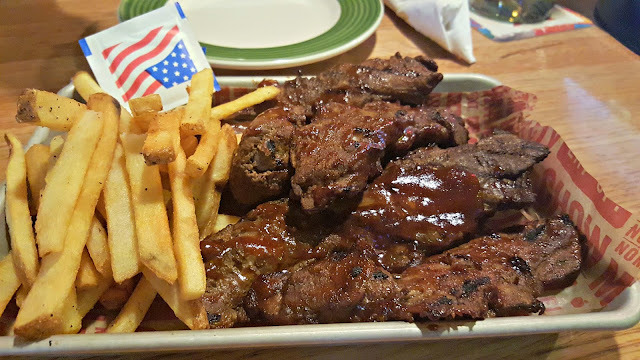 My favorite Applebees dish has got to be the riblets. I've always remembered them to be tender and full of flavor. I was extremely disappointed. The riblets were tough and dry and tasted like they were microwaved. The BBQ sauce was lacking and wasn't coated evenly. 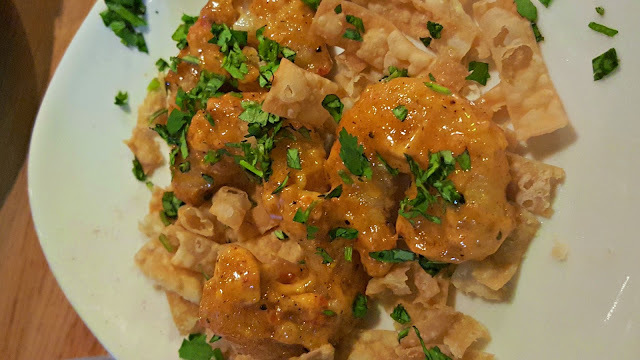 The sriracha shrimp was greasy, it seemed like the fryer wasn't hot enough and the shrimp just boiled in the oil. There was also too much sauce. 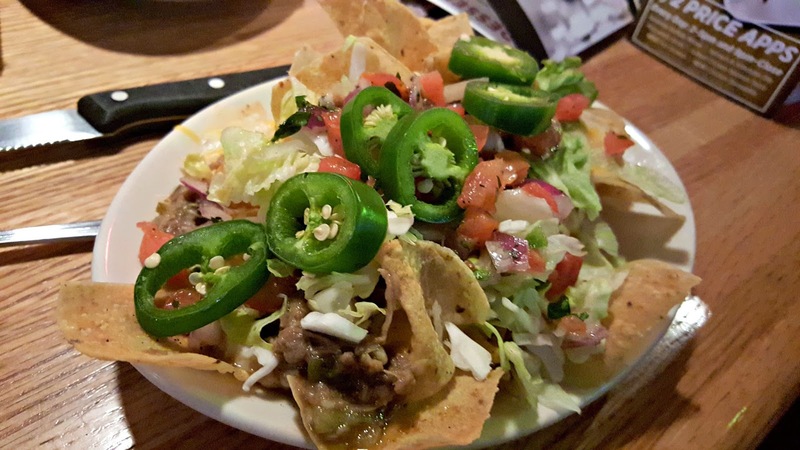 The nachos was waaay too salty. I could feel the texture of the salt on the chips. Someone doused too much salt. 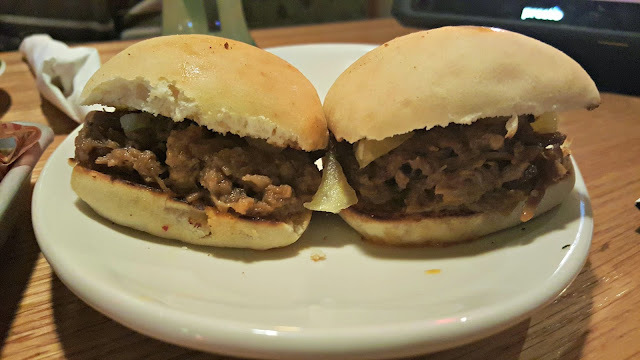 The brisket sliders were soggy and underwhelming. The meal was terrible and I probably won't be back. As sad as it was, the best part of the meal was the french fries.